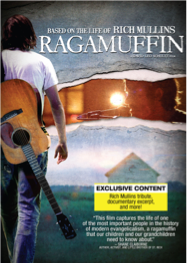 "RAGAMUFFIN is based on the life of Rich Mullins, a musical prodigy who rose to Christian music fame and fortune only to walk away and live on a Navajo reservation. An artistic genius, raised on a tree farm in Indiana by a callous father, Rich wrestled all of his life with the brokenness and crippling insecurity born of his childhood. A lover of Jesus and a rebel in the church, Rich refused to let his struggles with his own darkness tear him away from a God he was determined to love. As he struggled with success in Nashville and depression in Wichita, Rich desired most of all to live a life of honest and reckless faith amidst a culture of religion and conformity. “This film reminded me that what really made Rich special was how undistracted he was with the things of this world.” —Michael W. Smith (singer/songwriter)"
My Thoughts! I personally love the song Amazing God. Which is one of Rich Mullins songs. So when the chance came for me to be able to watch his movie and find out more about his life, his struggles, and his faith I was all for it. I would say that this movie really captured his life. It showed the good and the bad. My husband and I have watched this movie twice. Once together and once with my mother and grandmother. They even say the same thing its a great movie! I highly suggest you give it a try! And now you can win a copy! I LOVED the movie trailer and am ashamed to say that I have never heard of this movie or the main character.... but I want to! 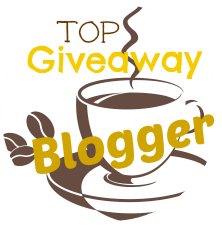 Thanks for the chance to win this fabulous giveaway! Rich Mullins had such a gift and was taken from this world much too soon. Thankfully his songs, like Awesome God, live on and continues his ministry. I've heard of him and this movie. I've never heard of the song Amazing God, the only song I know by him is Awesome God.